From the Pokemon Card Game side! 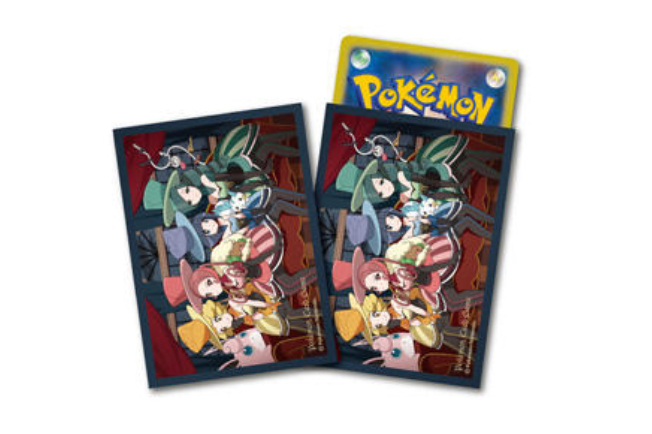 Along with the High Spec: GX Ultra Shiny booster packs (sm8b), a set of Pokemon Center original card sleeves, featuring the Battle Chatelaine girls, will also go on sale November 2nd (Friday). Each pack contains enough sleeves for a full deck plus a few extra and will cost 777 yen including tax. 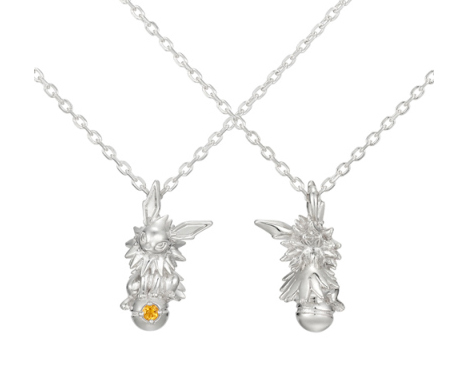 The K-Uno jewelry company is finally completing their Eeveelution necklace series with Jolteon, which is currently available for order. Necklaces are 12,000 yen each, including tax, and are made with silver. 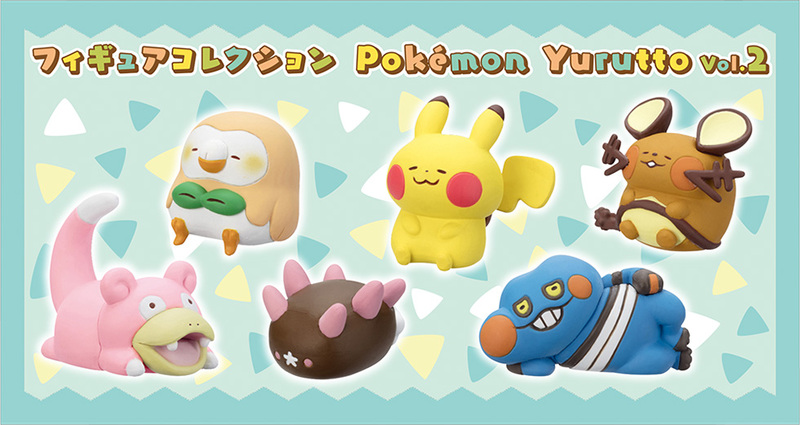 The Pokemon Yurutto series returns with volume 2 to all Pokemon Centers & Stores in Japan on November 10th (Saturday). Volume 2 includes: Pikachu, Dedenne, Rowlet, Croagunk, Pyukumuku, and Slowpoke. Each play costs 300 yen per usual. A brand new series with an amigurumi theme for winter will go on sale at all Pokemon Centers & Stores around Japan November 3rd (Saturday). With a hand-knit style, the promo includes plush, pouches and bags, fuzzy and soft clothing to keep you warm, and other cute items. It also includes my very favorite winter Pokemon Center cookie: polvorones! I highly recommend this cookie, which usually comes in an equally adorable and collectable cookie tin. Last but not least! 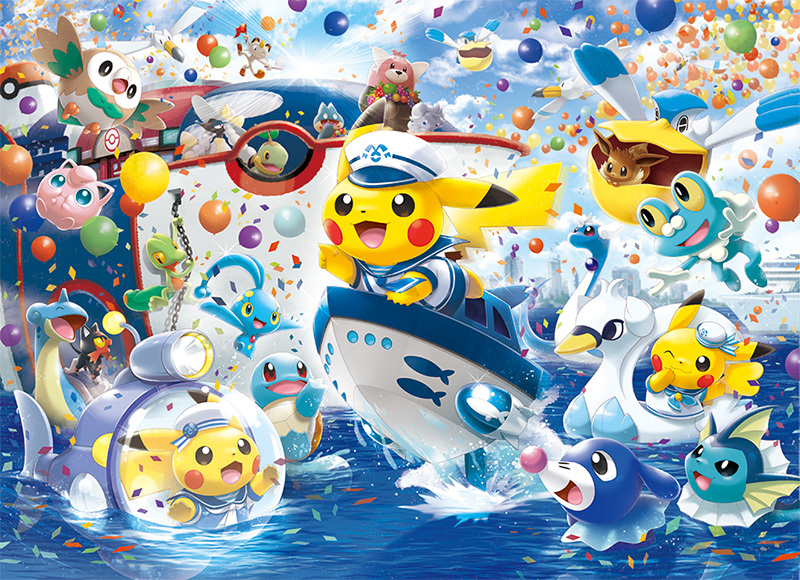 We finally have information on the merchandise coming out for the Yokohama Pokemon Center’s Renewal promotion! 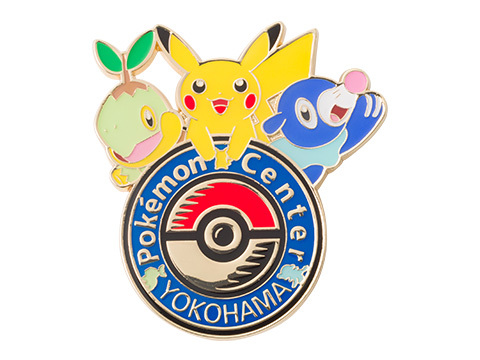 The promotion for the Yokohama Center moving to a new location (closer to Yokohama Station) will go on sale at all Pokemon Centers & Stores around Japan from November 9th (Friday). While most items will be available everywhere, as usual there will be a few items you can only get at the Yokohama Center. 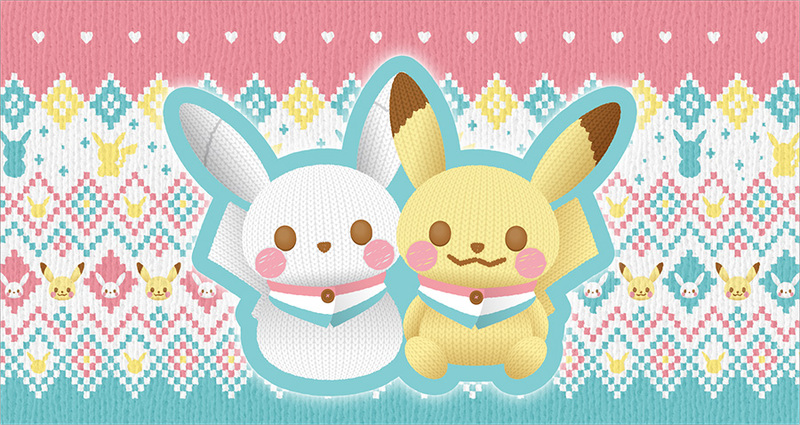 Oh wow I am LOVING the knit affect for the plushies, especially the snow Pikachu!